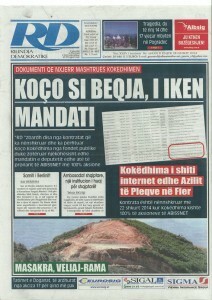 Spending Data Albania – sheds light on cases of conflict of interest. For the last nine months, Project “Spending Data Albania” has published every transaction involving payment of public money to beneficiaries and clients of the state institutions. 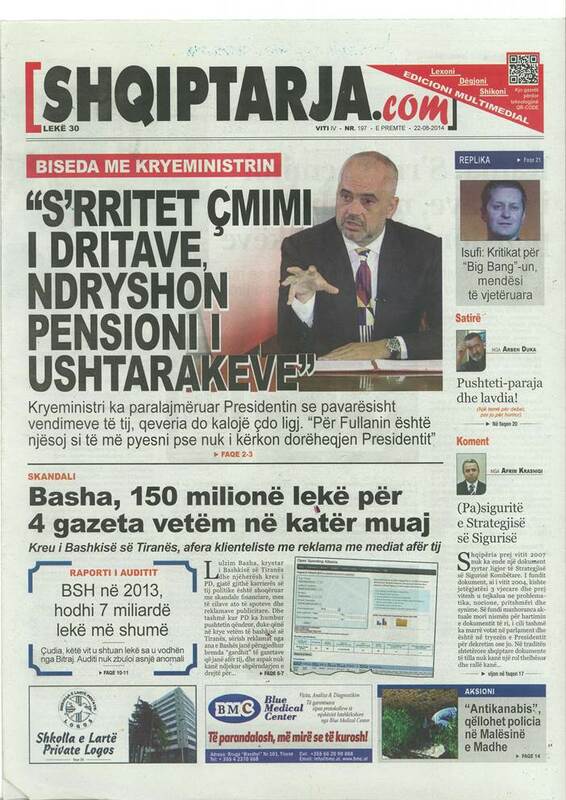 Such information helps Albanian citizens learn how their money and public assets are being spent. At the same time, individuals may know clients who provide paid services to the state institutions, and from time to time see whether there is any nepotism or conflict of interest involved in such arrangements. Thus, representatives of the opposition, as well as some representatives of the media, have identified a case in the data published by Spending Data Albania regarding the Treasure Transactions which raises obvious suspicions about unlawfulness and conflict of interest. 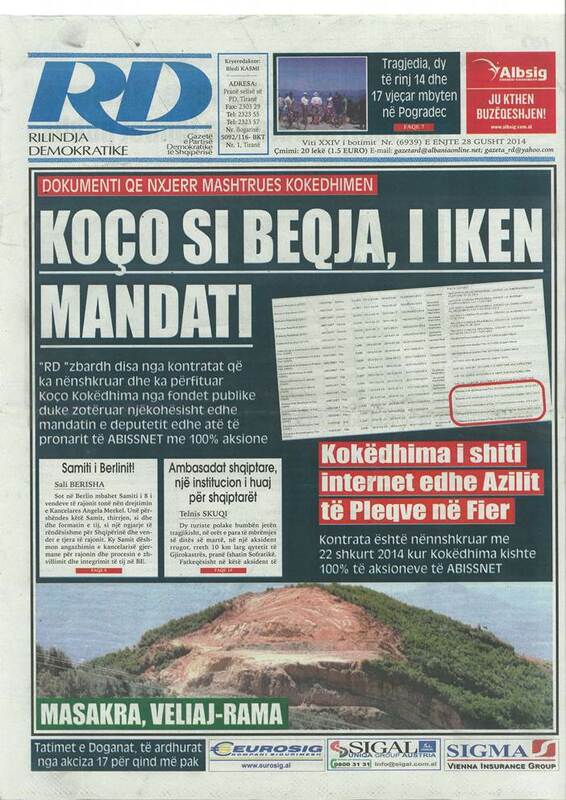 One of the private companies founded and owned earlier by the Socialist Member of Parliament Koço Kokëdhima seems to have benefited from contracts with a large number of state institutions, while the MP was at the same time the shareholder and owner of Abissnet. 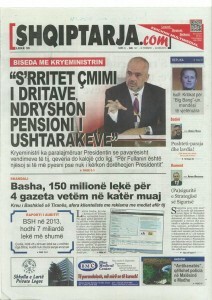 The Treasure Transactions application tables were published on newspapers’ front pages, and the former Chair of the largest opposition party in the country, Mr. Sali Berisha, has announced on social networks that such facts will be used to ask the Constitutional Court to revoke the mandate of MP Kokëdhima based on Article 70, point 3 and 4 of the Constitution. 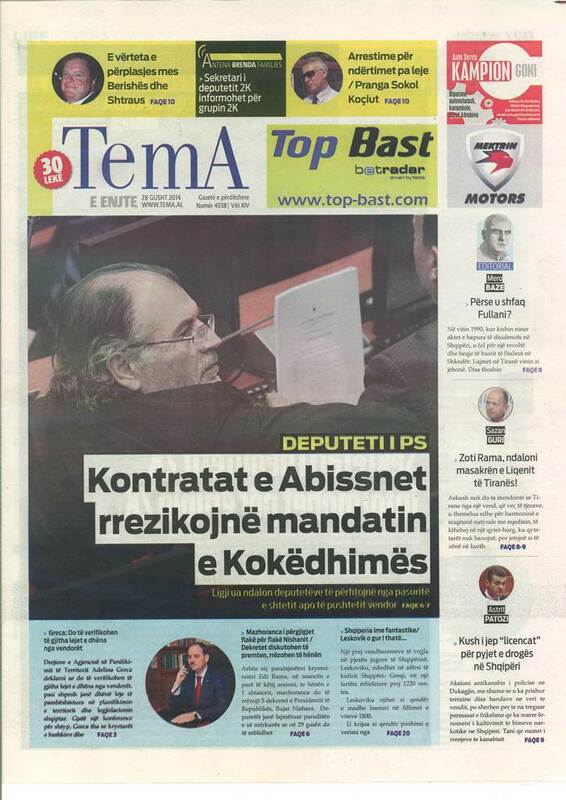 In a similar case in 2009, another MP lost his mandate by a decision of the Constitutional Court. 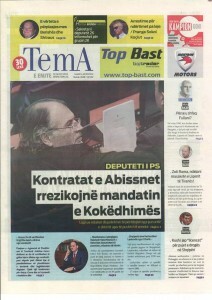 Tags: Spending Data Albania - sheds light on cases of conflict of interest. 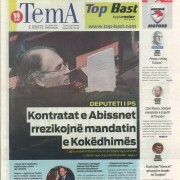 http://ais.al/new/wp-content/uploads/First-Page-Tema-Conflict-of-Interest.jpg 992 702 Besi Hysa http://ais.al/new/wp-content/uploads/aislogo1.png Besi Hysa2014-10-31 13:38:112015-08-04 08:37:20Spending Data Albania - sheds light on cases of conflict of interest.